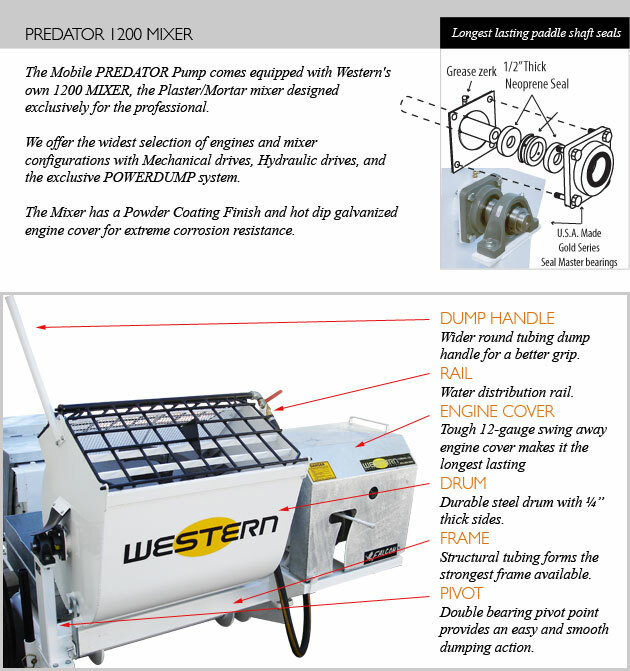 Predator Plaster, Stucco & Fireproofing Tandem Axle Mobile Pumps - Western Equipment Manufacturing, Inc. 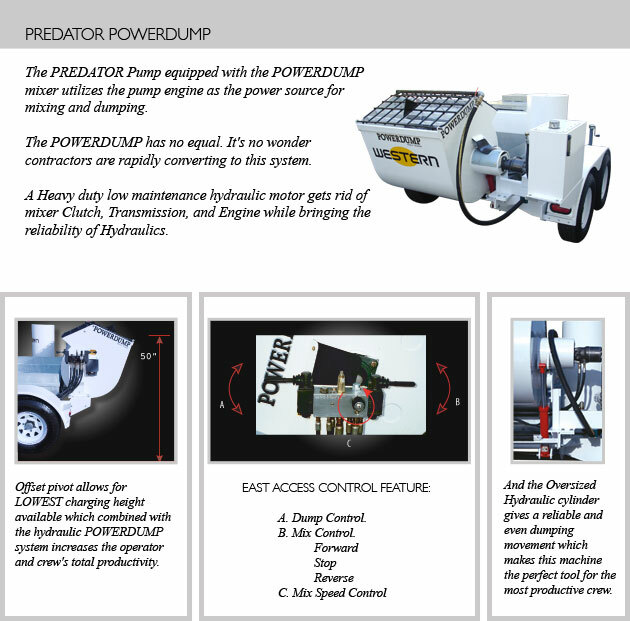 Predator Pumps specialize in plaster/stucco & fireproofing pumps. 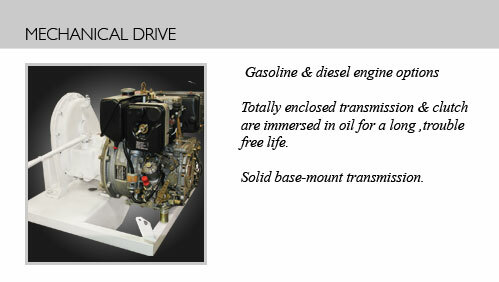 Built from only the highest quality components. 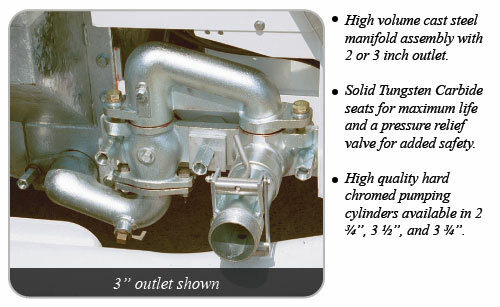 Manifold - High volume cast steel manifold assembly with 2 or 3 inch outlet. Heavy Duty Fenders - Specifically designed with the contractor in mind and fabricated out of 10 Gauge steel for enhanced durability. Fender Line - Custom fitted heavy duty liners protect brake drums and wheels from materials being pumped. 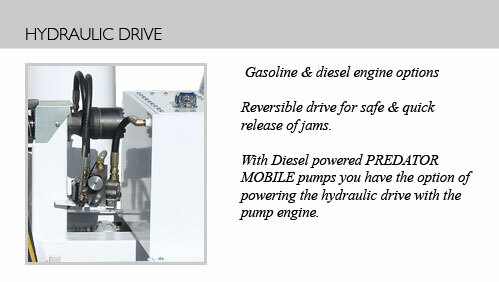 Tandem Axle - Two 8,000 lbs rated axles with torsion suspension provides you with a safer and smooth ride. 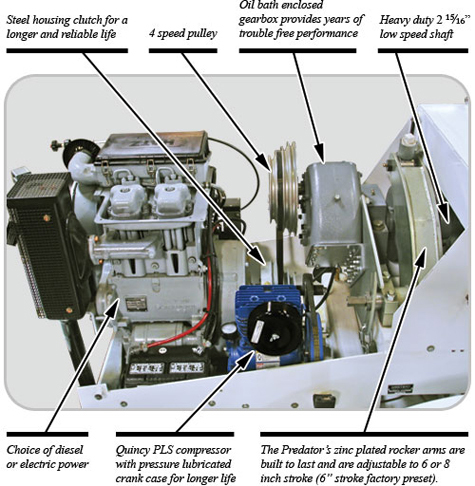 "A" Frame - The mandrel bent "A" frame design makes this trailer exceptionally strong. 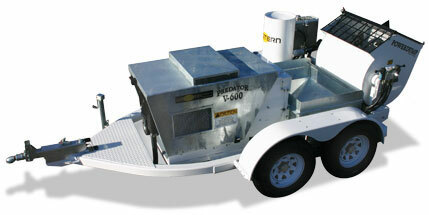 Mixer and Pump Option - The tandem trailer is available for all Mobile PREDATOR Pump/Mixer configurations.